THOUGHTSKOTO Thoughtskoto : It's Free! State College and State Universities Tuition This Year! It's Free! State College and State Universities Tuition This Year! 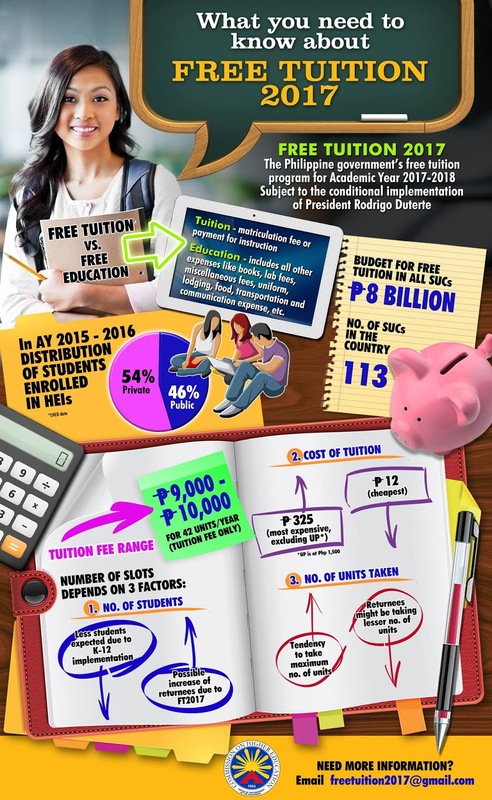 Around 1.8 million college student can benefit the free tuition that will start this year. To be exact, a total of P7.789 billion was allocated to the SUCs for the implementation of Free Tuition Act of 2017. With this Commission on Higher Education (CHED) release the guidelines for the beneficiaries according to student prioritization. 1. Graduating students of SUCs. 2. Non-graduating students who belong to a household that is or was a beneficiary of 4Ps. 3. Non-graduating students who were never part of a household that is or was a beneficiary of 4Ps but still included in the Listahanan of DSWD. 4. Non-graduating students ranked according to their per capita household income based on submitted documentation(s) for proof of income. Here is the guidelines of CHED and DBM regarding free tuition in the SUCs for this 2017. 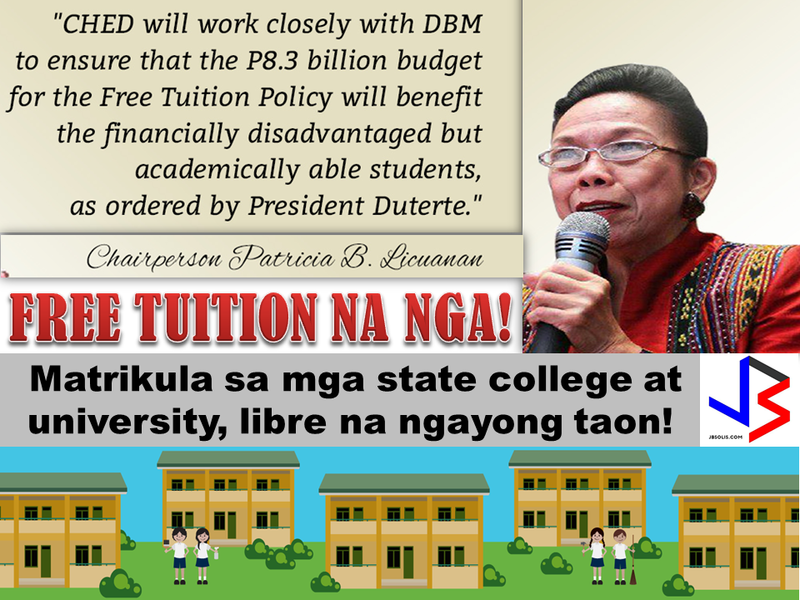 Licuanan further explains that free tuition is different from free education and in SUCs they will implement the free tuition only which comprise the 1/3 of the total amount of all college fees. The CHED and the Department of Budget and Management (DBM) have already released the guidelines on the grants of free tuition to students in SUCs. 114 SUCs operating in the country will have its budget allocation for the program. Based on the breakdown of allocation, the Cebu Technological University will have the highest budget ceiling at P379.192 million followed by the University of the Philippines System with P367.872 million. Other universities that will have more than P200 million budget ceiling include the Bukidnon State University (P285 million), Mindanao University of Science and Technology (P261 million), Cavite State University (P238 million), Batangas State University (P236 million) and the Polytechnic University of the Philippines (P204 million).